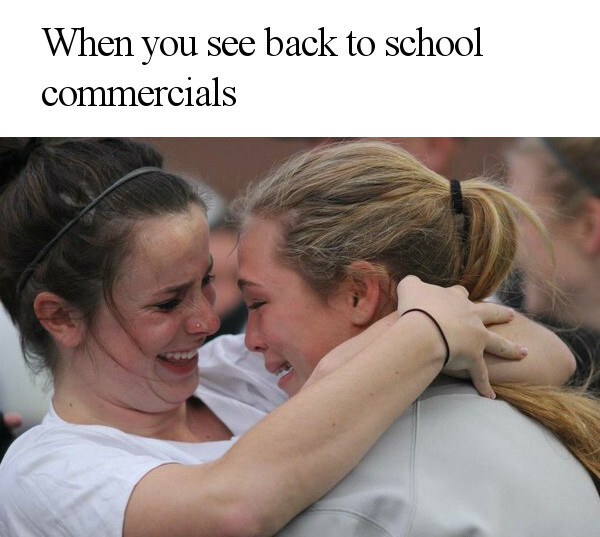 This is possibly one of the most dreadful feelings ever because seeing commercials for back to school stuff can only mean one thing... that school is approaching! Subscribe for Daily Final Exam Memes! Download the Grade Calculator iPhone App!